RIBA, Chartered Member, Int'l. Assoc. AIA, graduated TU Vienna 1992. He is the founder of Tabanlıoğlu Architects established in 1990 together with Dr. Hayati Tabanlıoğlu. 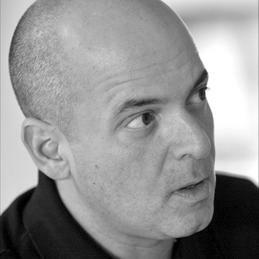 He conducts atelier programs at several Universities, lectures at international platforms, contributes as a jury member at national and international programs such as at AIA and WAF, he served on the Master Jury for the 2013 Cycle of the Aga Khan Award for Architecture. In 2014 he has been granted with the honor of curating the first Pavilion of Turkey at the 14th International Architecture Exhibition at the Venice Biennale. He has been the curator of “Port City Talks. Istanbul. Antwerp.” exhibition at MAS Antwerp as the major event of Europalia 2015 Turkey. Recent exhibitions include Stage 0: Travelogue, Architekturgalerie München in 2017 and Recomposing AKM Architektur Galerie Berlin in 2018.